Every Tuesday we feature two favorite local food items. 1) Greek Goddess Dressing and Dip at Feast! on salmon burgers. It seems almost anything would be good dipped in this riff on the famous salad dressing with roots in San Francisco in the early 20th century. What makes Feast’s version different — and “Greek” — is the use of Greek yogurt, a great way to add flavor and richness without excessive fat. They also throw in some mayo and herbs, and the result is ideal for sliced vegetables or chips. But, as we recently discovered, its best use may be as as topping for salmon burgers. Of course, we’re still experimenting. 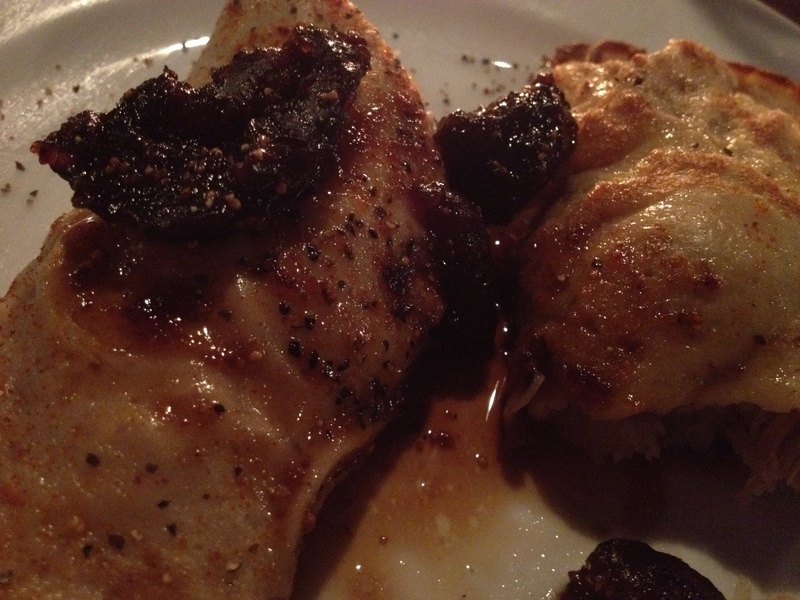 2) Ale Braised Rabbit Crepe at Commonwealth Restaurant and Skybar. The Memorial Day weekend heat wave makes us wonder how much longer the weather will seem right to indulge in a dish as rich this one. But, hot weather be damned, we’d eat this year round. The rabbit is perfectly cooked, and fork-tender from the slow braise. Virginia’s own Appalachian cheese adds richness and creaminess to the filling, which is all wrapped in a substantial crepe. A drizzle of warm figs provides welcome tartness and sweetness. There are two crepes to an order, which could almost pass for a meal, especially if paired with a salad.